To know me is to know that me and Mariah go back (like babies and pacifiers). It’s not a secret that I think she has the greatest voice of my generation and arguably all time. Some love her and some hate her, but at the end of the day no one can argue with the undeniable talent and force of her pipes. A few weeks ago, Mariah released her fourteenth studio album titled Me. 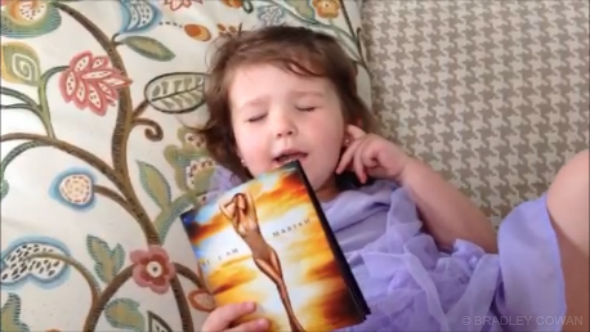 I Am Mariah… the Elusive Chanteuse and it should come as no surprise that I purchased it that day. A day that also happened to be Madison’s last day of preschool in which I took the afternoon off work to spend with her once the farewell festivities came to an end. An occasion that both Allison and I were surprised to find Madison as upset by as she was and once we dried her tears I made it my mission to cheer her up so I pressed play on Mariah’s most recent offering of vocal perfection and waited. Let the record show, I’ve never forced the musical catalog of Mariah Carey on my daughter. She has, however, heard the name and seen a performance or two (or a dozen) to recognize the name and the voice and the face yet I’ve never made her sit and listen or watch Ms. Carey sing. She did that all on her own and who am I to argue with good taste? That afternoon we listened to the song selections completely through once and then Madison requested a few songs on repeat and while she’s not a stranger to the word no, I found this more a time of picking your battles and this wasn’t a request worth denying. There’s a song on this album where Mariah sings with her twins and Madison made it her mission to memorize every giggle, every key change, and every melismatic run she could within the four minutes from beginning to end. We let the CD play in the background throughout the afternoon as we assembled blocks into castles and puzzles into completed pictures and as I broke away for a moment, I heard something from the other room… attempts at high notes. I immediately grabbed my phone and recorded what I intended to be a video shared only with her mother and maybe her grandparents as one of those things only we would find entertaining yet I found myself posting it to my Instagram shortly thereafter.